Patricia PacJac Carroll here again to talk about horses. I love horses. When I was a teen, I would ride my Appaloosa mare, Misty Blue, and we would charge through the pasture. There is nothing so free as riding a horse running full out. They are truly works of art when you see them galloping wild and proud with their head up, tail outstretched, and even if for only the briefest of moments, flying over the earth as all of the their hooves leave earth. One reason I love writing about the Wild West is I can write about horses. You’ll find them, named and beloved, in my stories. Murphy, Galahad, and Fancy in Golden Dreams. Southern Star, Banjo, and Fuego in Liberty Belle. So it is little surprise that many of the horses known from history were those ridden by military heroes. To start, we’ll go way back to 344 B. C. and find Bucephalus. This mighty, black steed belonged to Alexander the Great. According to legend, no one could tame the horse until 13 yr old Alexander got hold of him. The horse fought in many battles and is depicted in paintings and statues. The powerful steed died in battle at the age of 30 in Pakistan where he was buried. There were no horses in America until Columbus' second voyage. The Spanish explorers brought more horses to America in the explorations for gold. The American Indian horse came from the Spanish whose animals were either lost or stolen and gave rise to the Mustang - the wild horses of the American West. To end the American Civil War, General Ulysses S. Grant rode his favorite horse, Cincinnati, to meet Robert. E. Lee on his horse Traveller. Probably one of the most famous war horses in the American West is Comanche. The little buckskin was the only US survivor of the Battle of the Little Big Horn. The first thoroughbred to the Americas was Bulle Rock in 1730. Amazingly, most thoroughbreds can trace their ancestry to one of three stallions. The Byerley Turk. The Darley Arabian. The Godolphin Arabian. If you enjoy movies and books about racehorses, check out Seabiscuit and Secretariat. When I need some inspiration I watch Secretariat to remind myself to run my race. Seabiscuit to remind me that having heart can overcome obstacles and hopeless times. The first breed of horse established in the United States came from one horse - Figure. A horse owned by Justin Morgan. The Morgan breed is still popular today. Another breed developed in the U.S. is the Appaloosa by the Nez Perce Indians of the Pacific Northwest. These are the flashy, spotted horses and definitely horses of a different color. An interesting horse in our history is Beautiful Jim Key. Trained by a former slave, the horse could read, do math, and more. He traveled the US performing his abilities to promote the humane treatment of animals. As a young girl, I loved reading horse stories and dreamed of having a horse of my own. 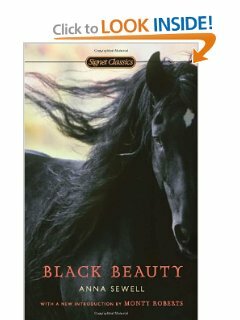 Some of my favorite books - Black Beauty, The Black Stallion and other Walter Farley books, My Friend Flicka and Thunderhead. Did you read any of those? So, do you have a horse or used to have horses? Let me know the color, breed, and name. They might find their way into one of my stories. My first horse was Misty Blue a pretty blue roan Appaloosa. Then I had Great Ceaser's Ghost - a gray quarter horse, and then Raindrops, a red spotted Appaloosa. I still love horses. So chime in and let me know about your horses. And if you never had a horse - let me know your dream color and breed of horse and what you would name them. Patricia PacJac Carroll has one book available on Amazon, Liberty Belle. Set in 1859 Denver, Liberty Belle is a story of finding freedom and forgiveness. A jilted bride, a wayward sheriff, a small boy, outlaws, and a gallows provide plenty of action, romance, and hope. Her next book, Golden Dreams, will be out in April. And on her blog about her fight against breast cancer. And Prince Charming would be a great name for them. They are so proud and huge. My cowboy and my son bought Tricity and the bay on the same day...a Saturday...oh, 5-6 years ago, then decided to saddle up and ride before church on Sunday morning. They both got bucked off. I liked a page on facebook called HORSE LOVERS. Amazing photos of horses. Trotting over to that fb page. Sounds like you have your own herd. I guess my love of horses ended when I was 5 and I fell off a horse and broke my arm! :/ But then, I was never given an opportunity to ride one again, either, or I might have regained my interest in them. Now I have a niece who is in love with horses and saves her money to be able to take riding lessons. I guess I have loved horses forever. Thanks for sharing some of their history. I learned to ride as a child, as my best friend had a pony. As we grew older, the horses got bigger. So I did do alot of riding. Eventually my friends started showing their horses, and thus I did not have the privilege to ride much after that. I think I would like a Friesian - the most lovely all black horse, an absolutely gorgeous, gentle animal. I really have never thought of a name, but I think Beauty might have to be my choice! Those Friesians are beauties. Love their rich black coat and long mane and tail. That is probably a sorrel - they are pretty and I be there right with riding like the wind. Who wants to walk when you can gallop! Patricia - you have certainly aroused my interest about horses! I grew up on a farm - we had horses & mules, my brother loved the horses - but I seldom was near them. I was very young & had no knowledge of how to steer a horse when I ran into a clothesline & was knocked off the horse (while playing cowboys & indians with my brother & cousin), & that was probably the end of my desire to be around horses. I was never an athletic or "outdoors" person (although I did help drive the tractor & strip tobacco)& preferred to be indoors baking for farm hands, etc. - staying cleaner & cooler. I'm sure now that I missed out on a lot of fun by doing that. I had never given much thought to horses being used in the bible, & will be reading more about "Beautiful Jim Key" - he was absolutely amazing! I knew horses were smart, but had no idea they could do the things he did. You would think that growing up & living in the Louisville, Ky. area - I would have had much more interest in horses! I had a pony when I was a child, a bay Shetland named Honey. Then a red dun QH by the fancy name of Dusty Gold Wimpy when I was a teenager. I went for years without a horse until our son got interested. Since then we've had: Jason - a black off-track thoroughbred, Brandy - a black roan Appy with a white blanket, Nugget - a palomino Appy, Cash - a bay QH cross, Sarge - a sorrel paint/Halflinger cross, and Trooper - a bay paint. Trooper is my buddy and probably my last horse. He's 21 now but doesn't look or act it. My son still has Jason, now age 23, and Cash is the youngster at 11. I knew most of the history horses you mentioned, but don't forget Dan Patch! I loved all the Marguerite Henry books as well as the ones you mentioned. I enjoy books about horses. When my son was young, we read all the Walter Farley books about the Black Stallion, plus his book about Man O'War. We also read the Billy and Blaze books; I think the author of those is C.W. Anderson, but I can't remember for sure. We lived several years in Texas, in a housing area where many of the streets were named for race horses. Thanks for stopping by, Pam. I never did get my own horse, but I had a favorite when i took riding lessons. He was a black bay grade horse named Max. Newfoundlands could probably qualify as a horse : ) Big enough. It is fun to think back to those growing up times with favorite horses. I started riding when I was three. I was horse crazy and ended up at Meredith Manor where I learned to train horses and graduated with a BA in Equestrian Education. I professionally trained Arabia's for many years. I shared my life with an amazing gelding called R.R.Rocky for their years. Then several years ago a friend gave me a rescued Arabian mare. We were very surprised when we got her papers and found out her registered name. It's FA Outrageous Faith. It was definitely a God thing! I too read the Walter Farley books and love,I've,love the Secretariat movie. That last race is awesome. Great blog. Took me back to some really fond memories. Thanks. How awesome! Don't you just love it when you see something with God's fingerprints all over it. Outrageous Faith - can't beat that. Isn't that last race in Secretariat done well? Brings tears to my eyes. I read the Black Beauty and Thunderhead series too, over and over again, even after I became an adult. Also owned two horses for a couple of years--one named Speck (because due to an incident when she was a colt placed white scars around her eyes) and one named Lady. Speck was a large chestnut (probably 16 hands); lady was a smaller palomino (maybe 14 hands). Speck was too smart for her own good (and Lady's too, since Lady went everywhere Speck did). They got out of the corral several times before we finally found a latch Speck didn't get all the way open for their next escape. She got them into the barn, too, and ate too much grain. The vet gave them some horse pills and they lived to get into a few more scrapes. I have several not fond memories of having to chase my horses down after escapes - usually on the coldest of nights. I have always loved horses. I had three when I was young, even though I was a city gal. I bugged my parents until they finally bought me one. The first was a yearling pinto named Patches. He was mean and not broken (not sure why they bought that one) so we sold him fairly quickly. My second horse was Buddy Boy. He was 1/4 thoroughbred and 3/4 Quarter Horse. I loved him and rode him a lot. A friend who jumped horses taught me how to jump Buddy. Big mistake. He started jumping the five-foot fences around his pasture and got out several times. We decided to sell him before he got hurt or lost. Then I bought Dolly. A roan mare. I can't remember how long I had her though. Some of my favorite childhood memories revolve around horses. You should read "Misty Of Chincoteague" and the other Marguerite Henry horse books. You would love them. Thanks for sharing, Maxie. The entire first year I had my horse, I was scared of her. She spooked at everything and broke all the hitching posts on the place. Finally, the lady who ran the place bought me a lead rope stout enough for an elephant and I would tie Blue to a big oak. : ) The oak held. I think the color of horse you mention is a buckskin. They are pretty. Hi Pat. I enjoyed your post. Thanks for providing powerful information. After I moved to Colorado, I owned a paint horse named Apache. The problem I had was that I lived at the facility where I worked, so with no property of my own, had to pay for pasturing, feeding, etc. It got a bit too pricey for me, so I reluctantly sold him. I didn't even get to ride him as much as I would have liked. I have a photo of him somewhere, but it was long before computers, so it's probably tucked away in a box somewhere. Thanks for coming by, Patti. Yes, I had to sell my horses too. Too expensive and no place to ride. We can ride them in our dreams and in books. That's why I love writing about the west.